Using a DSLR camera and wish there was an easier way to use it? Tired of learning ISO, Aperture and other terms and just need the perfect settings for your picture situation right on the spot? Camraw does all that and more. It’s like having a professional photographer on your side to suggest the best settings for your camera. Camraw is like a calculator for your DSLR camera. Once the situation is selected simply simply select how clear or blurred a background is needed. Click Settings and Voila, you have the Mode, White balance, Aperture and ISO needed for that situation. Use that in your DSLR for the perfect shot and of course play around with different settings to give your own touch. It even tells you if you would need to use a flash and tripod for these settings. Cameraw lets you choose from the following commonly used situations. 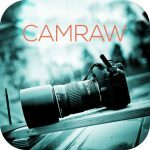 Now that you have your favorite DSLR - All you need is Camraw.